Upton Country Park01924 860280work Country ParkStep into a world of colourful nature as you stroll around Upton Country Park. Located to the south of Pontefract, the park sits on a belt of magnesian limestone that runs from South Shields in the north to Nottingham in the south. This limestone has made the soil rich with lime resulting in the growth of colourful wild flowers. Take a walk around the park and experience these bright flowers for yourself. Keep an eye out for stunning orchid species including Speckled Woods, Common Blues and Brimstones. Look to the sky to see hovering Kestrels and singing Skylarks. Want more adventure? Let the kid’s burn off energy at the adventure playground or join Upton Fishing Club and see what you can catch. 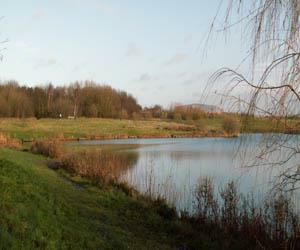 Many of the paths around the lake are wheelchair and pushchair friendly. Step into a world of colourful nature as you stroll around Upton Country Park. Want to know more about the area? Make sure you pop into the nearby Upton Library for more information. Leave Wakefield on Doncaster Road (A638). Follow signs into Upton centre. The site is to the rear of Waggon Lane. Arriva bus numbers 485 and 496 from Wakefield.